Channel Assist engaged with Torix to develop a strategy based that met their key business drivers – ability to scale, mobility and security. 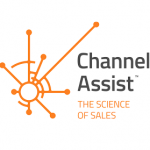 Channel Assist are industry leaders in enhancing sales performance. Working with household names such as Sonos, Panasonic and Bose providing unique services such as field marketing, business analytics and merchandising. With a remote, agile and flexible team spread throughout the UK, Channel Assist’s model is dependent on the ability to facilitate their team with a set of collaboration tools that will allow them to perform to the best of their ability. This has to be done very carefully however, as many of their clients are blue chip organisations who understandably take IT Security very seriously. Factor in that they have very aggressive growth plans, Channel Assist need to have in place IT infrastructure that will scale and adapt to their needs. It was decided that limited on premise infrastructure and cloud solutions was the best mix of solutions to give Channel Assist a platform on which to thrive. This involved using enterprise class, highly secure collaboration tools and SaaS based applications. “Ultimately, there is balance to be had between being agile –responding to changes quickly and implementing them in your IT systems, and delivering security and stability. With the help of Torix as our IT partner we are confident that we have achieved both.” Alain concluded. Ready for a new type of IT service delivery? Our range of IT Support solutions are designed to keep your IT up and running and your staff happy and productive. Fully managed cyber security solutions that proactively keep your business safe from cybercriminals. Either designing a solution designed for a business need, building an IT roadmap, or maximising IT spend, our consultants know how to deliver business ROI. Read the latest insight and opinion on developments in the IT Support and Cyber Security industries.